Analysis of the elastic and inelastic response of R/C structures (buildings, bridges, etc.) using member-by-member models (lumped or distributed plasticity). Inelastic modelling of reinforced and prestressed concrete members under monotonic and cyclic bending and shear, using member-type, fiber, or finite element models. Experimental study of reinforced concrete members under reversed cyclic loading. Elastic and inelastic analysis of (load-bearing) masonry buildings using equivalent frame or finite element models. Repair and strengthening of R/C members using conventional methods or FRP’s – Experimental and analytical studies. Analysis of pounding between adjacent structures (buildings, bridge segments) – Methods based on impact laws and/or dimensional analysis. Vulnerability of R/C and masonry structures – Analytical, empirical, and hybrid methods. Cost-benefit and life-cycle cost methods for pre-earthquake strengthening of structures. Assessment of the seismic behaviour of R/C structures designed to different codes – Seismic performance indices. Improved seismic design methods include performance-based and deformation-control methods – Design methods involving use of advanced analysis tools. Analysis (elastic and inelastic) of masonry infill panels subjected to seismic loading. Statistical analysis of strength and ductility of R/C members (normal and high-strength concrete) and probabilistic assessment of the seismic behaviour of structures. Analysis of soil-structure-foundation interaction in bridges, also including effects of spatial variability of ground motion. Inelastic static (pushover) analysis of structures accounting for torsion effects. Quantification of uncertainty in modelling and analysis methods used in seismic codes. Punching shear in R/C flat slabs - Experimental and analytical study. Analysis of the seismic behaviour of structures (buildings, bridges) with passive systems (dampers, seismic isolation). Plasticity models for the finite element analysis of 2D and 3D concrete members (plain, reinforced). Analysis of concrete members (tunnel linings) subjected to fire loading. ¨Coordinator of the ΕΑΕΕ (European Association for Earthquake Engineering) Task Group 11 (Seismic Design, Assessment, and Retrofit of Bridges), since Oct. 2006. 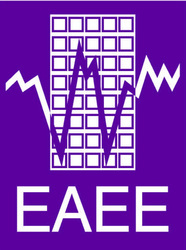 ¨Member of the EAEE Task Group 8 on “Seismic Risk and Earthquake scenarios”, since June 1995. - Working Group 7.6 on “Critical Comparison of Major Seismic Codes for Concrete Buildings”, since 2003. ¨Member of the Drafting Committee of the Greek Code for Assessment and Retrofit (and coordinator of sub-committee 2), since 2000. ¨Member of the Permanent Committee on Earthquake-resistant Structures of EPPO (Greece), since 2006. 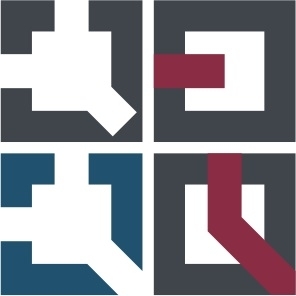 ¨Member of the Permanent Committee of EPPO (Greece) for the application and maintenance of the Greek Seismic Code and its compatibility with other national codes, since 2001. ¨Member of the Project Team for the conversion of Eurocode 8 Part 1 (General and Buildings) to an EN (official European Standard), 1998-2001. ¨Coordinator of the Japan-UK Working Group on “Seismic assessment, repair and retrofit”, 1995-1999. ¨Member of the CEB (Euro-international Committee for Concrete) Task Group on “Seismic Design”, from Oct. 1991 to May 1998. ¨Member of the EAEE (European Association for Earthquake Engineering) Working Group on “Seismic Risk and Vulnerability”, 1992-1995. ¨Corresponding member of the ISO (Intern. Standards Organization) 3010 Committee (Seismic Actions on Structures), 1997-2002. ¨Member of the Greek National Committee for the adoption of Eurocode 2 and the drafting of the corresponding National Application Document, 2003-5. ¨Member of the Group on Post-Earthquake Evaluation of Buildings of Vital Importance, set up by the Prefecture of Thessaloniki, since Jan. 1987. ¨Member of the Group of Experts of the TCG / Macedonia Chapter (Greece), 1991-4. ¨Member of various TCG Committees (Greece) for granting the Professional Licence in Civil Engineer­ing, 1988-1995. ¨Associate member of the National Committee on Earthquake Prognostics, Seismic Risk and Earthquake Protection (Greece), 1992-1994. Secretary of the EAEE (European Association for Earthquake Engineering) since Sep. 2014. Secretary of the Executive Committee of the EAEE Sep. 2010-2014. Member of the Executive Committee of the EAEE since Sep. 2006. Representative of Greece to the EAEE, since 2004. 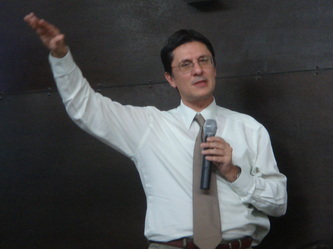 President of the Institute of Engineering Seismology and Earthquake Engineering (ITSAK, Greece) 2010-2011. Vice-President of the Hellenic Society of Earthquake Engineering (ETAM) 2003-2009. Founding Member of the Society (2002). Secretary General of the Hellenic Concrete Society (EPES), 2002-5. Member of the Society since 1985. Member of the fib (Federation International du Béton) since 2008. Member of the IABSE (International Assn for Bridge and Structural Engineering) since 2008. Member of the Technical Chamber of Greece (TCG), since Oct. 1978. Member of the SECED Committee (Society for Earthquake and Civil Engineering Dynamics, UK), April 1996 – April 1999. Member of SECED 1995-2000. Member of the Permanent Committee on Earthquake Mitigation of the TCG/Macedonia Chapter, Oct. 1985 - June 1995. Former Member of the EERI (Earthquake Engineering Research Institute, USA). Former Member of the AFPS (French Association of Earthquake Engineering). Responsible Editor for papers submitted to “Earthquake Spectra” (EERI), and to “Advances in Civil Engineering” (Hindawi Publishing Co) since 2010. “Bulletin of Earthquake Engineering” (Springer), since 2011. “Engineering Structures” (Elsevier) since 2006. “Natural Hazards” (Springer Science+Business Media B.V., Berlin) since 2005. “Journal of Earthquake Engineering” (IC Press - World Scientific) 1995 - 1999. “Earthquakes and Structures” (Techno-Press) since 2009. “Advances in Civil Engineering” (Hindawi Publishing Co) since 2008. “The Open Construction and Building Technology Journal” (Bentham Science) since 2008. “International Review of Civil Engineering” (Praise Worthy Prize) since 2010. Guest Editor of a special issue of the international journal “Bulletin of Earthquake Engineering” (Springer) 2007-8. Member of the editorial board of the World Housing Encyclopaedia (EERI, California and IAEE) since 2006. Member of the International Editorial Board of the book series “Advances in Earthquake Engineering” of WIT Press (UK) since 2005. Member of the International Advisory Board for the international award ‘Nevada Medal For Distinguished Graduate Student Paper in Bridge Engineering’, since 2009. Reviewerof international conference papers: 12th World Conf. on Earthquake Engineering, 6th SECED Conf. ‘Seismic Design Practice into the Next Century’, ICCES Conferences (since 2003), 5th International Conference ERES 2005, Hellenic Conferences on Earthquake Engineering (since 2001), Hellenic Concrete Conferences (since 1999), etc. Reviewerof papers in ACI Special Publications (ACI). Evaluator of research proposals submitted to university authorities (University of Basilicata – Italy, University of Patras – Greece). Workshop “10 years after the 20.6.1978 earthquake in Thessaloniki”, TCG / Macedonia Chapter, Thessaloniki, June 1988. Workshop “Presentation of the New Seismic Code”, TCG / Macedonia Chapter, Thessaloniki, June 1993. Annual Lectures of the Concrete Society of Greece, subject: “Analytical prediction of failure in R/C buildings subjected to seismic loading”, Athens, Dec. 1993. 11th World Conf. on Earthq. Engng. Special Theme Session “Evaluation and improvement of seismic codes”; subject: “A comparative assessment of R/C structures designed to the 1995 Eurocode 8 and the 1985 CEB seismic code”, Acapulco, Mexico, June 1996.
International Workshop on “Seismic Design Methodologies for the next generation of Codes”, US-Slovenian Joint Board for Scientific and Technological Cooperation, Bled, Slovenia, June 1997. Series of Invited Lectures at ITSAK (Institute of Engineering Seismology and Earthquake Engineering, Greece); subject: “Inelastic spectra for Greek records and evaluation of behaviour factors for seismic design”, Thessaloniki, May 1998. Series of Invited Lectures at the University of Oxford, Department of Engineering Science; subject: “Assessment of seismic vulnerability of existing structures using analytical and hybrid procedures”, Oxford, May 1998. 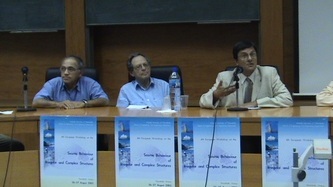 Round table on “Seismic damage indices”, 11th European Conference on Earthquake Engineering, Paris, Sep. 1998. Annual Lectures of the Concrete Society of Greece, subject: “High-performance concrete: Mechanical properties and application in earthquake-resistant structures”, Thessaloniki, Dec. 1999. Workshop on “Earthquake-resistant building structures” at Building Centre – KTIRIO, Subject: “Pre-earthquake assessment of existing buildings”, Thessaloniki, Apr. 2000. 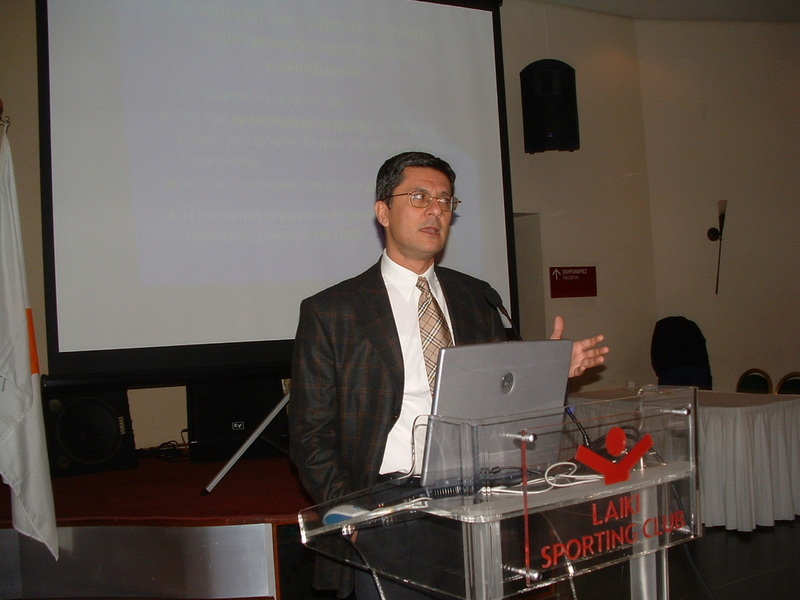 Series of Invited Lectures at ITSAK, subject: “Displacement based seismic design”, Thessaloniki, Jan. 2001. Italian National Conf. on Earthquake Engineering (X Convegno Nazionale “L’Ingegneria Sismica in Italia”, Keynote lecture: “Seismic vulnerability assessment of existing buildings in Southern Europe”), Potenza/Matera, Italy, Sep. 2001. Annual Lectures of the Concrete Society of Greece, subject: “Analysis of bridges accounting for soil-structure interaction and spatial variability of ground motion” Athens, Dec. 2002. Workshop “Pre-earthquake assessment of structures as a means for a new earthquake mitigation policy” (lecture: “Framework and methodology of pre-earthquake assessment”), Regional Authority of C. Macedonia, Thessaloniki, May 2002. Workshop “Seismic Risk of Structures” TCG/EPPO/DUTh, (lecture: “The new Greek Code for Assessment and Retrofit ”), Kavala, Sep. 2002. Workshop “Major highway projects: the case of Egnatia Odos”, lecture: “Seismic design of bridges”, Student Association of Civil Engng Department AUTh, Thessaloniki, Dec. 2002. Workshop “Pre-Earthquake assessment and interventions in existing buildings” (lectures: “Vulnerability assessment of structures in the earthquake–struck area of the 1999 Athens earthquake” and “The Greek Code for Structural Interventions”, Association of Civil Engineers of Cyprus, Nicosia, Jan. 2003. Workshop “Special Topics in Concrete”, lecture: “Cracking of concrete ”, TCG/Macedonia Chapter, Thessaloniki, Apr. 2003. Workshop “Seismic Risk of Structures”, TCG/EPPO/Univ. 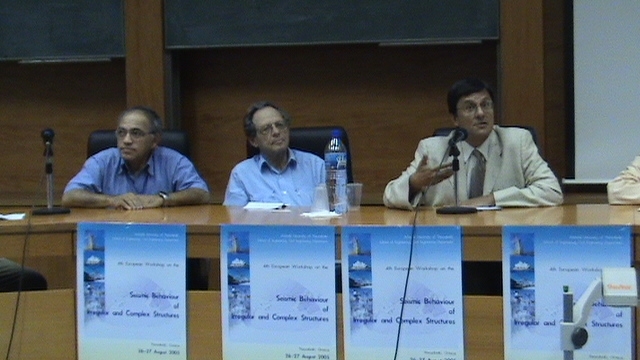 of Thessaly, lecture: “The Greek Code for Structural Interventions: Analysis and Modelling”, Volos, May 2003. Workshop “Route to EU: Earthquake Codes”, lecture: “Presentation of Eurocode 8”, KTMMOB-IMO (Chamber of Civil Engineers), Nicosia, Oct. 2003. Workshop “Earthquake resistant design according to Eurocode 8”, (lectures: “ Eurocode 8 – General provisions, seismic actions” and “Special provisions for concrete structures”), Assn. of Civil Engineers of Cyprus-Limassol Section, Limassol, Oct. 2003. Workshop “The Lefkada Earthquake – Effects on the built and natural environment”, lecture: “Analysis of existing buildings – The new Greek Code for Interventions”, ΤCG/ Macedonia Chapter and ΙΤSΑΚ, Thessaloniki, Oct. 2003. Workshop “Earthquake Resistance”, lecture: “Analysis of existing structures”, ΤCG/ Epirus Chapter, Ioannina, Dec. 2003. Workshop “The Code for Interventions in Existing Buildings”, lecture: “Analysis of existing structures – Behaviour of critical regions”, EPPO – ΥΑS, Athens, Feb. 2004. Workshop “Microzonation studies: Content – Objectives – Applications – Legal framework”, Assn. of Civil Engineers, lecture: “Seismic vulnerability of buildings”, Thessaloniki, June 2004. Series of Invited Lectures at ITSAK, subject: “Evaluation of the vulnerability of building structures struck by the 1999 Athens earthquake and comparisons with the actual retrofit costs” Thessaloniki, Dec. 2004. Workshop “Earthquakes – Soils and Structures”, ΤCG/ EC. Greece Chapter, lecture: “Pre-earthquake assessment of buildings – Applications in Greece”, Lamia, Apr. 2005. “Atelier international sur l’amélioration de la sécurité des bâtiments dans la region du Maghreb” (Coopération Algérie-OTAN). Communication: “Seismic assessment of public buildings using empirical and analytical techniques”, Alger, Mai 2005. 1st Greece-Japan Workshop on Seismic Design, Observation, and Retrofit of Foundations, lecture: “Site-dependent elastic and inelastic spectra for greek earthquakes, based on a representative set of records”), Athens, Oct. 2005. NATO Advanced Research Workshop: Μanagement of urban earthquake risk in central asian and Caucasus countries, Keynote Lecture: “An integrated system for pre- and post-earthquake assessment of buildings and its application to the city of Düzce, Turkey”, Istanbul, May 2006. Presentation of Eurocodes, lecture: “Development and basic aspects of EN1992 and EN1998”, TCG, Athens, Oct. 2006. Workshop EUROCODES: Building the Future in the Euro-Mediterranean Area, lecture: “Background studies on Eurocode 8 carried out at the Aristotle University of Thessaloniki”, JRC & NATO, 27-29 November 2006, Varese, Italy. EERI World Housing Encyclopedia International Workshop on Vulnerability Parameters for Common Building Types, lecture: “ Seismic vulnerability assessment of R/C buildings with brick masonry infills”, 22-23 May 2008, San Francisco, California. 3rd Hellenic Conference on Earthquake Engineering and Engineering Seismology, Keynote Lecture: “Current trends in inelastic static analysis of buildings and bridges”, Athens, Oct. 2008. Workshop Seismic Protection of Bridges, lecture: “Analytical and empirical assessment of the seismic vulnerability of bridges”, ΕΟΑΕ and AUTh, Thessaloniki, Feb. 2009. Workshop: Strategies for the Earthquake Protection of Monuments lecture: “Available methods for the analysis of monuments and criteria for their selection”, EKPPS – ΟΑSP, Athens, Feb. 2009. Urban Habitat Constructions under Catastrophic Events meeting (COST C26), Invited Lecture: “Seismic vulnerability and risk assessment in urban habitats: Methodology and case-studies”, Southampton, UK, March 2009.
International Conference on Earthquake Engineering, Invited Lecture: Design of earthquake resistant buildings”, Banja Luka, RS of Bosnia-Herzegovina, October 2009. Chairman of Session: “Reinforced concrete Analysis”, in the 5th SECED Conf. on European Seismic Design Practice, Chester, UK, Oct. 1995. Chairman of Session: “Assessment and Repair” in the Japan-UK 1st Workshop on “Implications of Recent Earthquake on Seismic Risk”, London, Apr. 1996. Co-chairman of Symposium S1: “Earthquake Scenario, Seismic Risk and Loss Assessment” in the 29th General Assembly of IASPEI (Intnl. Assoc. of Seismology and Physics of the Earth Interior), Thessaloniki, Aug. 1997. Chairman of Session: “Seismic risk reduction (I)” in the 2nd Intl. Symposium Earthquake Resistant Engineering Structures (ERES ’01), Malaga, Spain, Sep. 2001. Organiser and Chairman of Symposium: “Analytical and Experimental Methods in Earthquake Structural Engineering”, International Conference on Computational & Experimental Engineering and Sciences (ICCES’03), Corfu, Greece, July 2003. Organiser and Chairman of Symposium: “Earthquake Structural Engineering”, International Conference on Computational & Experimental Engineering and Sciences (ICCES’04), Madeira, Portugal, July 2004. Member of the Scientific Committee of the 5th International Conference “Earthquake Resistant Engineering Structures” (Skiathos, Greece, May 2005). Chairman of the Organising Committee and the Scientific Committee of the 4th European Workshop on the seismic behaviour of irregular and complex structures, Thessaloniki, Aug. 2005. Member of the Scientific Committee of the 6th International Conference “Earthquake Resistant Engineering Structures”, Bologna, Italy, June 2007. Member of the National Advisory Board of the conference Computational Methods in Structural Dynamics and Earthquake Engineering (COMPDYN) Rethymnon, Crete, Greece, June 2007. 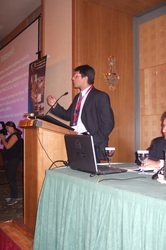 Member of the Organising Committee of the FRPRCS-8, 8th International Symposium on Fiber Reinforced Polymer Reinforcement for Concrete Structures, Patras, Greece, July 2007. Member of the Organising Committee and the Scientific Committee of the 3rd Hellenic Conference on Earthquake Engineering, Athens, Nov. 2008. Member of the Scientific Committee of the Int. Scientific Symposium Modeling of structures, Mostar, Nov. 2008. 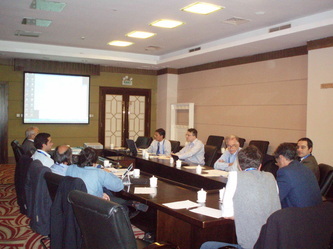 Member of the Scientific Committee of the International conference Earthquake and Tsunami, Istanbul 22-24 June 2009. Member of the Scientific Committee of the Computational Methods in Structural Dynamics and Earthquake Engineering (COMPDYN2009) Rhodes, Greece, 22-24 June 2009. Organiser and Chairman of Symposium: “Analysis Methods for Bridges Subjected to Seismic Actions”. Member of the International Organising Committee of the 14th European Conference on Earthquake Engineering (14ECEE), 30/8-3/9/2010, Ohrid, FYROM. Co-chairman of Session: “Response of Concrete Structures” in the 9th US National & 10th Canadian Conference on Earthquake Engineering, Toronto, Canada, 25-29 July 2010.